If you want something quick and easy to grow that will spread like wildfire and provide you with a bounty of uses, might I suggest you plant a bit of mint? It is great for teas, recipes, and even makes a great wine! Rapidly growing and even considered invasive by many, mint has been part of medicinal gardens as long as we’ve had organized agriculture, and was likely harvested for its flavor and use by our nomadic ancestors. It’s perfect to grow if you are a beginner gardener…in fact, I dare you to TRY and kill it. It just won’t die! When you’ve had too much to eat and you feel bloated and crampy, mint is great for releasing the extra pressure. In layman’s terms, it will make you fart and burp like a human orchestra, much to the delight of giggling fools, like me. If you are prone to suffer from bad digestion, heartburn, nausea, or constipation, mint might be a suitable, gentle ally to ease your pain. I bet that you thought that the mints given out at restaurants was a subtle hint from the waitress about the oniony and garlicky food scenting your breath, didn’t you? This is also the reason that mint jelly or mint sauce is traditionally served with lamb and game, especially when it tends to be gamey and tough. The peppermint aids in the digestion by increasing bile flow, which in turn helps to break down the meat. Feeling anxious? Panicked? Sweating under the collar and freaking out? A cup of mint tea, or even just a big sniff of mint essential oil, is a great boon for calming the mind. Breathe it in, hold your breath for four seconds, breathe out and let yourself relax. Stimulate your brain! Exam study sessions might stay with you longer if you have mint at hand. The crisp smell of spearmint or peppermint seems to sharpen focus and offer a sense of clarity during stressful times. Mint is considered a “refrigerant” for your body…did you ever wonder why it’s such a common thing to have a spring of mint in your iced tea? It doesn’t just flavor your drink – it keeps you cooler in the hot summertime haze. This wonderful property also makes it an addition to a tea for lowering fevers. Mint also serves as a wonderful disguise for “stronger” flavors like horehound, valerian, and hops, making beneficial decoctions easier to share with those with less… um… sophisticated palates. For example, I make a valerian-mint cordial for night-time tummy complaints. 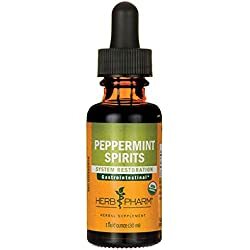 Peppermint oil is used in balms and salves for its analgesic and cooling properties. I can be stimulating to the skin and its blood flow, but also help cool inflammation in the muscles. This makes it great for arthritis, especially when combined with camphor. 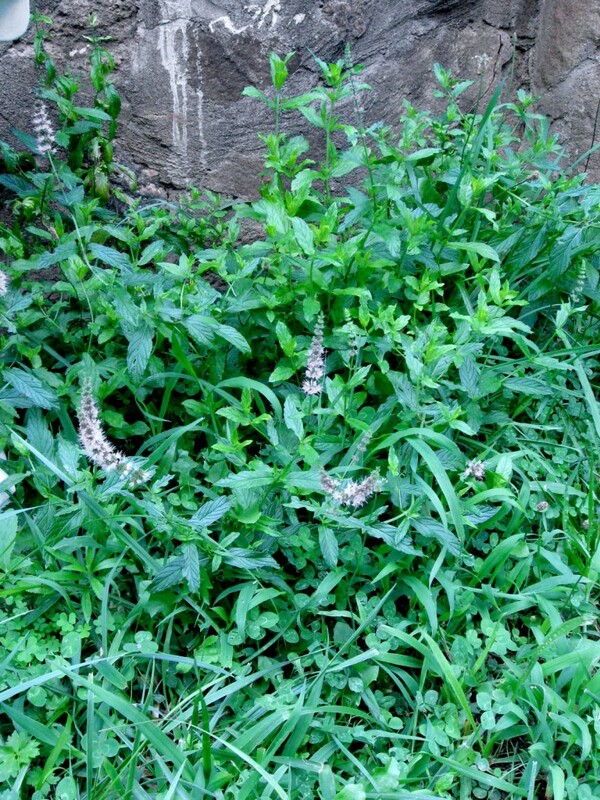 Since it is so strongly scented, mint is often a deterrent for mosquitoes. If you forget your bug spray and get bitten, freshly crushed mint leaves or a salve can help with the itching! Dried, crushed mint leaves tend to be a deterrent for ants and mice that try to invade your space. You can use tea bags as sachets in cabinets with pest problems. 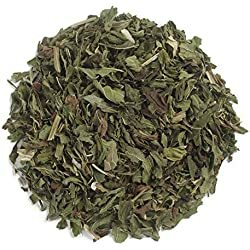 If you wish to purchase dried mint, essential oils, hydrosols, or even seeds, please support your local organic retailers, or try Mountain Rose Herbs or Richters. Good information. 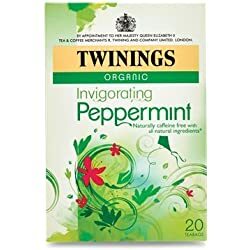 Last year I grew 5 different ones and dried the leaves and have been using them in my tea each morning and loving that! I didnt know about the health benifits for arthritis and mesquitos thats good to know! Ooh, five different mints! That sounds nice – I have two, a spearmint, and just plain peppermint. I love a cup of hot mint tea, it does clear the head and calm the tummy! I love any plant I can’t kill! On that note, thank you for linking this to Green Thumb Thursday – hope to see you tomorrow! It grows just as quick as you can harvest it, too! *sigh* But I nearly use it up each year! Lovely article and information on cooling peppermint!